AMROTEC X-3000 — C&A Associates, Inc.
AMROTEC® offers X-3000 Currency Sorter with 2 main Stacker Pockets and 1 Reject Pocket, which acilitates Mixture banknotes Value counting, ATM and FED Fitness Detection, 2 Denomination Sorting into Dual Pockets as wel las Facing and Orientation. Further, it is equipped with the capability of processing Casino barcoded Tickets and currency in mixture in one pass delivering into 2 Separate Stackers. 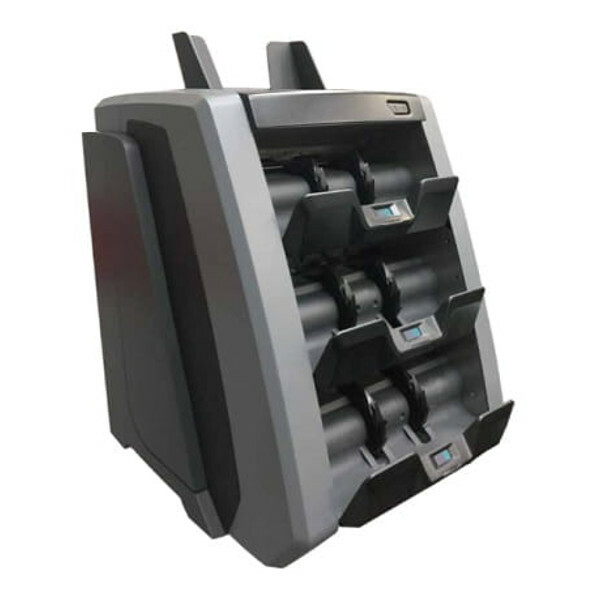 Reject pocket is used for all non-recognized currency and tickets, suspect banknotes or unfit or non-assigned banknotes.The entire counting operation is performed non-interrupted without having to stop the machine, thus increases job-site productivity. The best equipment in the market for ATM cash replenishment for small to mid-size financial institutions or small Casino operators.